After trying several chia drinks at the store I wanted to by my own chia seeds. When I got the package home one of the suggested recipes was a pudding that is made by adding the seeds to coconut milk and letting it sit in the refrigerator for several hours. This sounded amazing so I decided to put the drink idea to the side and make a pudding. I didn't have coconut milk on hand but I did have kefir. I enjoy drinking this in the morning so I was hoping it would work out nicely. 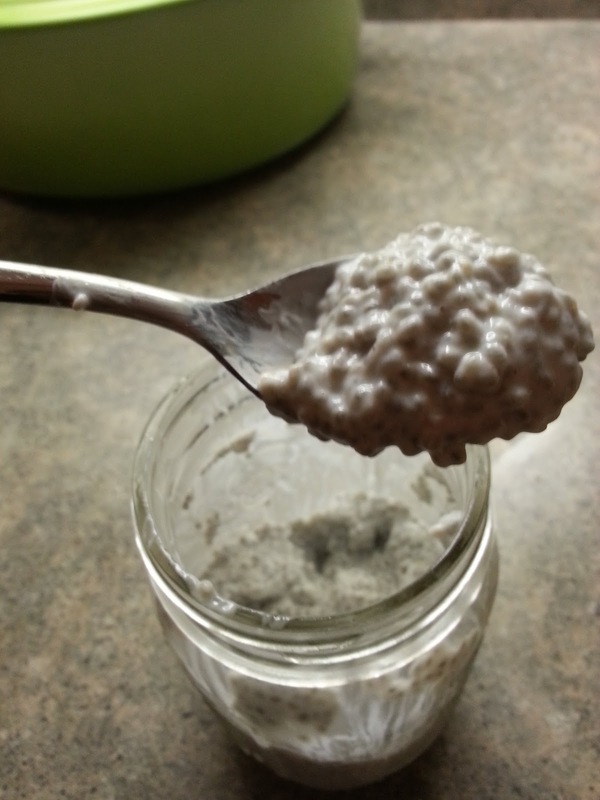 I started by combining 1 cup of plain lowfat kefir with 1/4 cup of chia seeds. I added some agave syrup and cinnamon to the mix to add some flavor. I would imagine any flavoring as long as it doesn't change the water content would work fine. Though it is ready in 3 hours, i didn't eat mine until the next morning and it was excellent. Very creamy with the chia seeds popping in your mouth. This is a very nutritious breakfast that I think I will be going back to. This would be very nice with some berries on top.